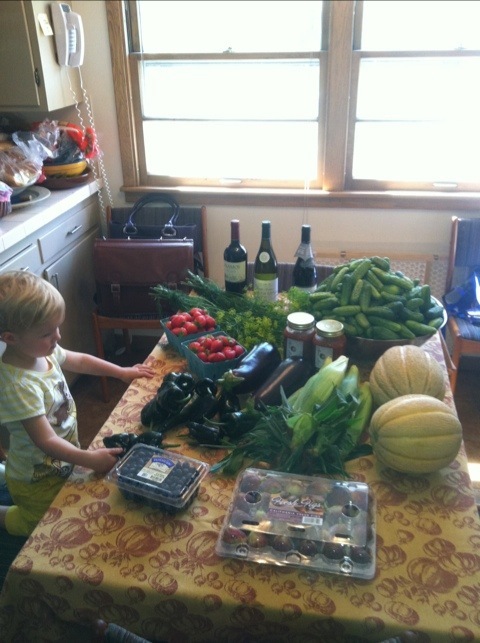 Look at all the wonderful goodies our trip to the Farmer’s market brought this morning. Can you tell what we are doing this weekend? I can tell you it will include eggplant Parmesan, which I have been craving, lots of fresh fruit, stuffed poblano peppers at some point soon, and a French Chablis from Costco we are anxious to try.